David Deaton is an energic and results-focused professional who has facilitated strategic planning sessions in countries throughout the world including Argentina, Brazil, Uruguay, Mexico, Canada, Cyprus, Greece, Hungary, Bahamas, China, Indonesia, Malaysia, and the United States. With a seasoned career, David has facilitated sessions for just small team workshops to board-level strategy sessions with senior executive across various industries. 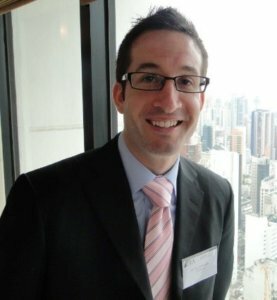 David began his facilitation experiences while in Hong Kong conducting market research throughout Asia leading 1:1 in-depth interviews, focus groups, and executive roundtables. That work evolved into strategic planning facilitation for non-profit boards throughout the world and assisting business units in defining their team’s strategy and managing challenges to succeed at their larger goal by collaborating with each other. Working in both the profit and non-profit industries for nearly 20 years, David has applied facilitation concepts to form, lead, and develop high performing teams. This background gives David “real world” experience in both setting strategic direction and understanding how to implement those initiatives to achieve strategic change. David has experience working with sales teams, SalesForce and related technology implementation, educational services, online training, grant funding, marketing and communications, and financial services. Additionally, he is versed in project management principles, change management, quantitative and qualitative research techniques, design thinking and strategic planning. David earned his undergraduate degree in Business from Indiana University (Bloomington). He also earned an MBA from Texas Christian University (Fort Worth). He has participated in additional professional development through the Center for Creative Learning and is an accomplished public speaker and former officer with his local Toastmaster chapter. David is a well-rounded leader who brings energy, humor, and analytics to his work. He is also a philanthropist who has volunteered with various in-need communities, refugees, and incarcerated youths. 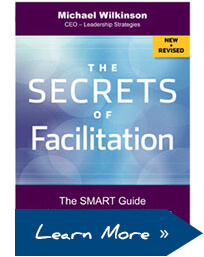 Energy, humor, and analysis are the hallmarks of David’s facilitation style. To be able to ask questions with a seasoned researcher mindset and to bring those ideas into the high level strategic plan. Disciplined in time management and goal-orientation, David is productive with his sessions. His always focused on empower the group to foster the best ideas and establish the ownership to ensure they will be successful. With a quick laugh and insightful question, the group will find they can tackle the most daunting challenges with David’s support.